Humidity can make anyone feel extremely uncomfortable outside but even more so inside the house. However, beyond the feeling of physical discomfort, having high levels of moisture can also result to negative effects. If you have noticed a musty smell in a house for some time now, it is probably because of the high moisture levels inside. Using dehumidifiers inside the home helps reduce this and keep the air inside the home comfortable for everyone. Having a dehumidifier for basement, bedroom, bathroom, kitchen or cabinet use is not just about easing your level of physical comfort when staying inside the house. Did you know that having humid air inside the house further increases the growth of mildew and mold inside? Just think about what this could mean to your family’s health! Additionally, excessive humidity can create damaging effects to your clothes, furniture or even the walls of the house. If you have ever wondered how to get rid of mildew smell inside your house, using a dehumidifier is the answer. While some models would require you to take out the water that has been collected in their basins, there are dehumidifiers with pump that allow continuous drainage so you do not have to worry about constantly emptying it out. This can be a little tricky though – make sure that you have already checked if the drainage it uses is gravity or if it has a condensation pump. Not sure which ones to get? Read on our comprehensive Best Dehumidifier Buying Guide here or go on our quick list of dehumidifier reviews. We have created the top five best picks below to make decision making much easier for you. Our list of best dehumidifiers starts off with one from Danby, the DDR70B3WP. This model tops the list because it effectively measures and maintains the humidity of the room through its Smart Dehumidifying feature. What it does is figure out the humidity and temperature of the room and automatically programs itself to find the most optimal humidity level for your room. This Danby unit also has other automated features such as an auto shut-off function to prevent spills when the water reservoir becomes full, automatic restart in case of power failures and automatic defrost when temperatures go lower than 41 degrees Fahrenheit. It even has a check filter indicator that will immediately notify you if your filter already needs cleaning or changing. Another thing we love about this powerful machine is that it can cover large rooms and basements of up to 45,000 square feet. Draining the unit can be done in three ways: manual, using the gravity drainage or through an external condensation pump which you can get with the Danby DDR70B3PWP Dehumidifier with Pump (same features except for pump). We at ParentsNeed HQ believe that quality should always be the most important factor, even if it means paying for a higher price. The Danby is certainly worth every cent you pay it for but if you want, you can shop around further as there are some sellers that sell it at a slightly lower price tag. Compared to other 70-pint competitions available in the market, we found that this particular model is extremely effective in doing its job – and more quickly and efficiently at that. It can fill in more than 10 pints of water after running for 12 to 24 hours and maintaining a humidity level of around 50 to 60 percent. Another thing we love about this unit is that it operates noiselessly, even much quieter than the other brands of the same capacity. You can run it all throughout the day and not be bothered by its noise – you can even sleep with it on. It is often overlooked but we also would like to stress out the importance of high Energy star ratings among dehumidifiers. The higher the dehumidifier rating is, the more energy efficient it is. This means that you will be enjoying the same efficiency as most other units probably do but at a much lower energy consumption. Perhaps the only huge drawback to this Frigidaire dehumidifier is that it does not come with a pump. To get the water out, you will have to pull out its easy-to-remove bucket and dump the water into the sink. You can also install the gravity drainage and connect it to a garden hose. The huge problem regarding drainage when using this as a basement dehumidifier is a major issue, which is why this has been placed at the top 2 spot despite its amazing features and functionalities. A look at this Comfort Aire Dehumidifier will probably remind you of a small air-conditioning unit. Obviously it isn’t and it does a pretty great job at removing moisture from the air thus effectively reducing the chances of your wooden items, clothes, furniture and even the walls from getting damaged. This unit has pretty much the same features as the Danby one: automatic defrost, automatic shut-off and automatic restart in case of power outages. Draining the water out from the unit can also be done in two ways: by pulling out the front-loading bucket or by attaching the adapter included in the package so you do not have to worry about manually draining it out every so often. Its design isn’t quite as modern and sleek as the one that Danby has but it can certainly still camouflage itself within your home. For fans of contemporary and traditional styles, the Comfort Aire – at least in aesthetics – should be among your top choices. Despite so many great things about this model, we could not bring it up higher than the third spot in our list. It may be a great piece of equipment for bringing the humidity down but it raises the room temperature up when it has been running for a long time. If capacity is not an issue in your search for the best humidifier, perhaps this DeLonghi model is your best friend. This is a very simple piece of equipment that, despite its small size, is packed with quite a punch. One of the things we love about this unit is its control panel, which is extremely easy to figure out. You can immediately set the appliance to your desired level of humidity (we suggest you always go for 50 percent) and it makes sure to keep at it all the time. Of course, you can also set the dehumidifier to turn on and off after a certain period of time. This helps save energy while the room humidity is still kept at a comfortable level. While the LCD display will let you know real time what the relative humidity and room temperature is, the transparent water level window located right in front will help you see just how much water has already been collected. The water tank holds quite a lot but you will still get an alarm alert when it is already full. Aside from manually emptying the tank by getting it out and dumping its contents into the sink, you can also attach a hose to let it drain using gravity. Additionally, this unit comes with castor wheels and handles so it is a lot easier to move around even when it is full. We love that the DeLonghi dehumidifier comes with great features and functions but we are not quite a fan of its small capacity of just 45 pints a day. And, considering how small its capacity is and how expensive its price tag is – compared to the previous models in this list – we believe it deserves to only be placed in the fourth spot in our list of the best dehumidifiers. Not everyone needs a dehumidifier for use in a large room. In fact, some might just be looking for a machine that can keep the humidity levels of very small rooms – such as a bathroom, cabinet or even an RV – at a certain level. 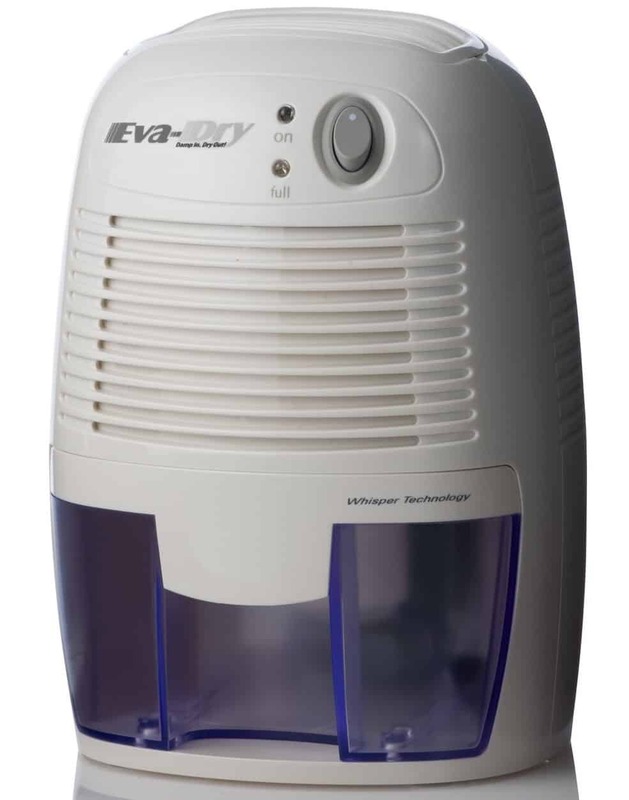 If you need to control air moisture for small areas, you would probably want to try using the Eva-Dry Petite Dehumidifier. This model is so small that it can simply fit on the top of your desk or your workbench. 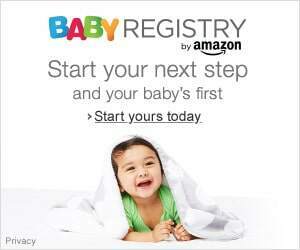 It looks a little bit like a baby monitor and you will probably just forget that you have this appliance working for you. Despite its very petite size (thus the name), it comes packed with quite a lot of features. For example, the Eva-Dry is designed with Whisper Technology so that aside from its lack of huge physical dimensions, you will probably forget about it because of its lack of noise. Its spill-proof water reservoir comes with a transparent design so you get to see exactly how much water has already been collected but the machine also has a “full” indicator light that will remind you that it is already time to empty the tank out. Additionally, it automatically shuts itself off once it finds that the reservoir is already full. While we love the compact design and the close-to-nothing operation it has, it is also one of the reasons why we have placed it at the bottom of our list. As parents, it can get really hard remembering things and with such petite equipment working in such tiny spaces, it is highly likely that you will forget ever having it. The high likelihood of seeing mold and mildew forming at the bottom of the this dehumidifier’s water reservoir after forgetting it for a few days is the biggest reason why it has claimed the fifth spot in our list. We recommend this product only if you have a need to dehumidify very tiny spaces and if you have a much lower budget. You may have already been asking for some time now on how to get rid of musty smell or mold in the house and our quick answer is to use a powerful and effective dehumidifier in your home. We understand that there are many things that you have to consider before making your purchase: dimensions, weight, capacity, price and even the Energy star rating. We suggest that you look through our list of dehumidifier reviews and pick one that you think suits your needs and your family’s needs best. Remember though that even the best dehumidifiers require some amount of clean up and maintenance work. Certainly, you would not want to keep the water it has collected stay stagnant in its tank. Be sure to empty out the contents as soon as it is full and after every use to prevent mold and mildew from forming at the bottom.